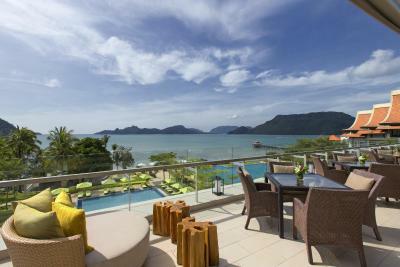 Lock in a great price for The Westin Langkawi Resort & Spa – rated 8.7 by recent guests! Great location, so easy to get to from the airport. Staff are friendly and helpful. The Villa with Beach Access was the best, Breakfast excellent. Every thing is fine the location is perfect. the staff are friendly. The breakfast is variety and everything is so fantastic. The whole place is amazingly beautiful, breakfast was great and until 11.30am - a plus, the pools are stunning, the bedroom was big and comfortable. When l first checked in, a room wasn't good, since the wallpapers and sofa were dirty. When I called to the reception and explained the issue, they quickly changed the room, and the second room was much-much better. The service at the resort was excellent. People were very kindly at the resort. I really enjoyed the 2 double beds in the room. The toilet was also very spacious and comes with a bathtub. Breakfast was included in my room rates and loved that they serve it till 11am. The pool is amazing, the view from balconey is adorable! The breakfast buffet was excellent. Room very clean n comfy especially the bed. Staff are very friendly n helpful. Me n my wife really enjoy our stay.. 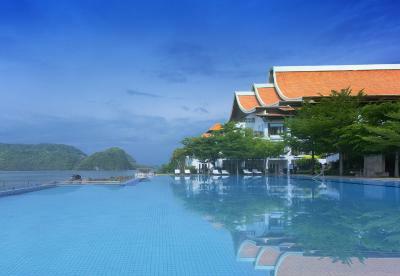 The Westin Langkawi Resort & Spa This rating is a reflection of how the property compares to the industry standard when it comes to price, facilities and services available. It's based on a self-evaluation by the property. Use this rating to help choose your stay! One of our top picks in Kuah.The Westin Langkawi Resort & Spa features 4 outdoor pools, 6 dining options and a recreation center. This beachfront property offers relaxing stays with free WiFi in the rooms. For guests who drive, free parking is provided. Guests can head to the recreation center for a round of pool or a game of squash. Staff at the tour desk can help you arrange bike tour or island hopping. Adults can join a morning yoga while the children explore the beach through the kids' program. 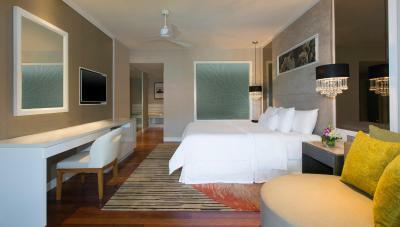 When would you like to stay at The Westin Langkawi Resort & Spa? This double room features a bathrobe, mini-bar and tumble dryer. This double room has a bathrobe, air conditioning and tumble dryer. This double room features a patio, mini-bar and electric kettle. This double room has a balcony, bathrobe and tumble dryer. This double room has a balcony, private pool and tumble dryer. This double room has a balcony, flat-screen TV and private pool. This double room features a electric kettle, mini-bar and tumble dryer. The Westin Langkawi Resort & Spa is in a strategic location on a 500 metre stretch of private beach located to the nearby harbour and famous shopping of Kuah Town and 20 minutes from the Langkawi International Airport. With a choice of 4 pools, a Westin Family Kids Club®, Westin WORKOUT® Fitness Studio, Heavenly Spa by Westin™, non motorized watersports activities, squash and tennis courts there is something to keep everyone entertained. All Westin guests will receive a 'Welcome Westin Elixir drink' and cold towel during arrival. Dining at The Westin Langkawi Resort & Spa provides a delightful mix of Malaysian hospitality, Asian cuisine and international favorites – from romantic ocean side dinners to relaxed poolside lunches, savory seafood and superb martinis. 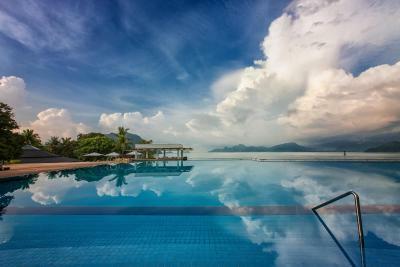 House Rules The Westin Langkawi Resort & Spa takes special requests – add in the next step! The Westin Langkawi Resort &amp; Spa accepts these cards and reserves the right to temporarily hold an amount prior to arrival. The Westin Langkawi Resort & Spa accepts these cards and reserves the right to temporarily hold an amount prior to arrival. Not sure there was enough to do in surrounding area to stay longer? The spa was amazing, rooms are nice. Rubbish brought to the beach with rising tide. Almost everything was at the highest level! The spa was a wonderful experience. Will definitely stay there again. 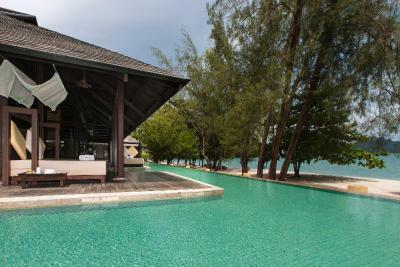 I booked the front beach Villa for my honeymoon, which was the most expensive option that they had. Hundreds of ants were everywhere( inside and outside the villa). I called them three times regarding this issue and no action was taking. The private swim pool that comes with the Villa was really dirty and the water was yellow. Asked for water change and they said they do not change the water they just put Chlorine and that’s it. Restaurant staff did not provide any services. Food wasn’t that great to be honest. For the prices you pay you don’t get the level of food. The facilities are great, rooms are well appointed and the location is beautiful. You can see that the hotel is not the most modern; time has left its marks in many places (used wallpaper, stains on the walls, squeaking wardrobe doors...). But it was not too disturbing for us. What bothered us more was the beach: it is not welcoming. In low tide, it does not look appealing, and even in high tide, the water is not clear. In addition, we were in a room that had a common door with its adjacent room. Although it was closed, it had simply no sound proofing. I could hear our neighbors. Furthermore, there were monkeys around, so we did not dare to use our balcony. It is a huge resort with many possibilities to enjoy your stay: 3 restaurants, different pools, gym, great spa, water sport rental etc. Even without leaving the property, you can find activities. The staff was very helpful. The food was very good. Although there were a few things which we did not like (see in the other section), we had a great time here. Plumbing was a bit dubious with one inefficient toilet and a burst bathroom water pipe at 4.00 am. However, their maintenance man replaced the burst pipe within 20 minutes of calling for help, typifying the staff’s commitment to outstanding customer service. Beautiful, peaceful location with amazingly helpful and attentive staff. Spectacular horizon pool overlooking islands in the Strait of Malacca. Worth the upgrade to Premium Suite with 270 degree sea views from 2 balconies and possibly the most comfortable bed ever. Breakfasts were amazing so much choice. Staff very friendly & efficient. Service is a bit slow. Rooms took quite sometime to be ready. And while Check in time is 14h the checkout is 12 noon!! Very nice & pleasing property. Warm staff. I did not like the location of the Villa in respect to the main hotel. There was supposed to be a buggy transfer but this would take too long to arrive. The Villa toilets and sinks were blocked the moment we arrived. The Hairdressing services of a hotel were not available, either staff were on holiday or just no qualified staff available. 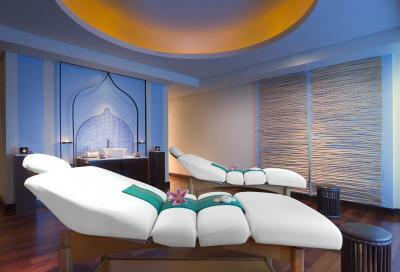 They recommended we go to The St Regis for this and they would book an appointment for us. Only 3 restaurants, first night we booked The Tide. The steak and the mash potatoes were just cold. They cooked it again meanwhile I had to eat mine before ir went cold also. We had to collect the wine ourselves from the bar as there was some confusion between the waitress and the barman. Second night we purposely came back to the hotel from outside to eat at the outside BBQ. When we arrive we were informed this is now in the Breakfast Area. There not one person eating here! Also, this is not an 'Outside BBQ"!!!! We later learnt that the outside BBQ was taken over by Phillips! We were not informed of this.